Urban Exposure Plc (“Urban Exposure” or “the Company”), a leading AIM-listed UK residential development financier and asset manager, has secured the mandate to provide a £83.3m senior development finance facility to international property company, Strawberry Star Group. The loan, which completed in November, formed part of the £522 million of new loans Urban Exposure completed between its IPO on 9th May and the year end 2018, as detailed in its Lending Update announcement dated 31 December 2018. London-based Strawberry Star, which specialises in Capital, Acquisitions, Development, Homes, Sales, Lettings, Management, and Asset Management of property in London and its surrounds to local and international investors, will utilise the facility to fund the development of a 6.8 acre site – previously occupied by Vauxhall Motors – known as “LU2ON”. The initial funding will finance the construction of residential phase 1, consisting of 400 units, including suites, one- and two-bedroom apartments (78 of which are affordable housing), the initial ground works for residential phase 2, and a public piazza. In addition to phase 1, the developer has also obtained planning permission to build phase 2, comprising 385 one- and two-bedroom apartments, retail and leisure units, a 200+ bedroom hotel, a medical and wellbeing centre and a piazza, alongside landscaping, car parking, new access and associated works. The forecast Gross Development Value (GDV) for phase 1 is expected to be £94.6m which includes private residential, affordable residential and commercial (gym and retail). Circa 18% of the units have already been sold off-plan, and it is expected that 25% of the units will have been pre-sold by March 2019. The site is situated just a two-minute walk from Luton Airport Parkway train station (which provides a direct connection to London Kings Cross in under 23 minutes), 1.1 miles west of Luton Airport and a 20-minute walk from Luton town centre. 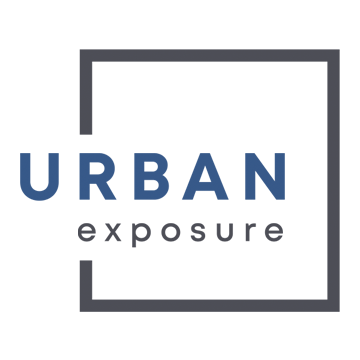 Urban Exposure pioneered non-bank lending for residential-led development finance, having been one of the first companies to specialise in this sector during the financial crisis when UK banks began reducing their balance sheet exposure to residential property lending. “We are excited to be a part of funding such a large-scale and important initiative in the area. This development will be hugely beneficial for the local community and reinforces our focus on the provision of core housing for first-time buyers and young professionals.